A few weeks ago a created a similar piece of an Oliphaunt. 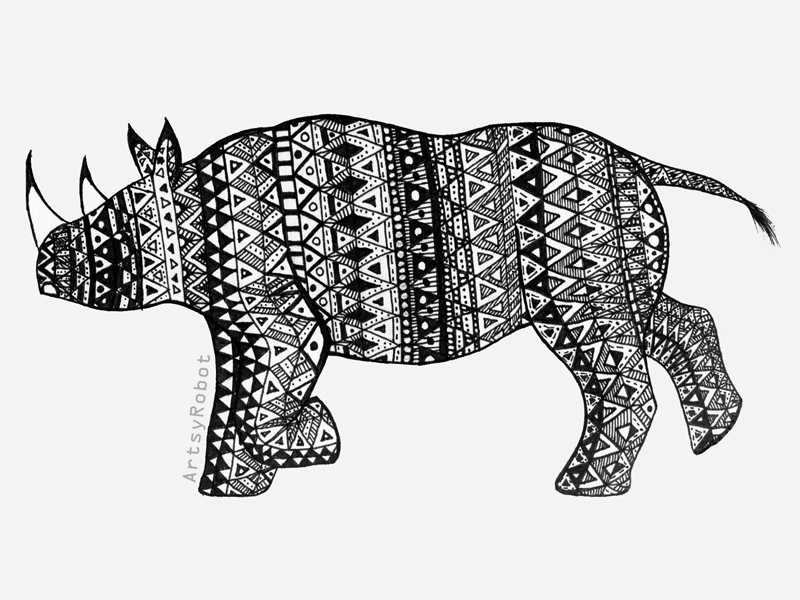 Here is a side project I have been doing of a Black Rhino while trying to get college and crafts done. I learned a lot about this species while drawing it. For example, did you know that less than 5,000 individuals are alive of this species? Check out World Wildlife Foundations page for some more fun facts about this beautiful animal.